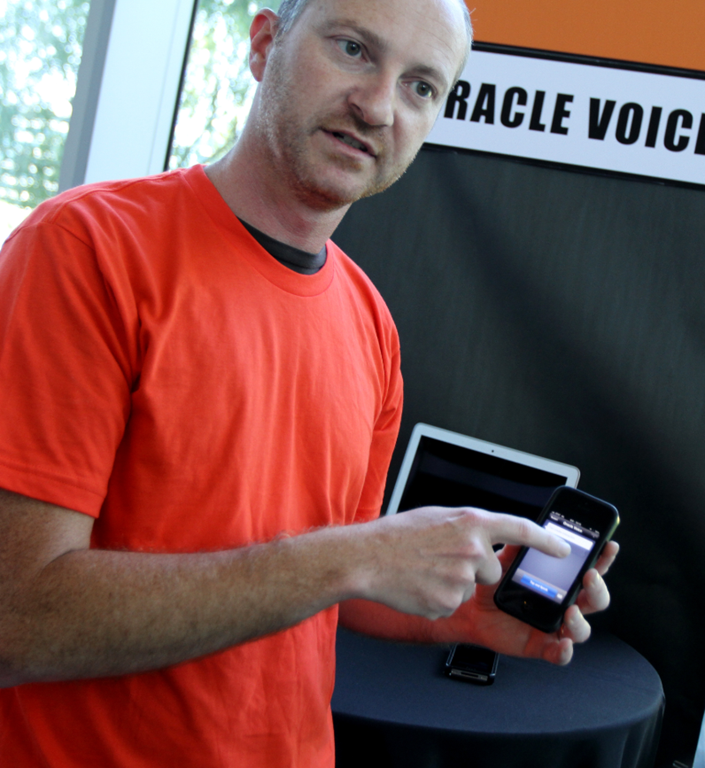 Oracle wants to lead in User Experience. Plain and simple. To that end, it has established the Applications User Experience team (back in 2007) – a relatively independent team within Oracle that explores all kinds of UX options, conceptual and technology wise, and translates them into guidelines, templates, buildings blocks that make it possible to apply the UX vision to actual software. The team does this for Oracle’s own Applications development teams – and makes most of their work available to outsiders to also make use of when developing their own custom applications. The importance of UX in modern application development is hard to overstate. The proliferation and variety of mobile devices, the rise of real time business, the demand for enterprise user productivity in an increasingly complex environment all contribute to the relevance of user experience. Recent and imminent technological developments – such as HTML 5, Web Sockets, mobile devices, Google Glass and other wearables, big data, Smart Machines – open up many opportunities that are begging to be used (and that organizations will have to use in order to keep up). User interface design is the art and science of the usability of information systems for end-users. How is data, information or better yet: a call for action conveyed? 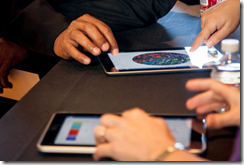 How should an information system adapt itself to different devices? 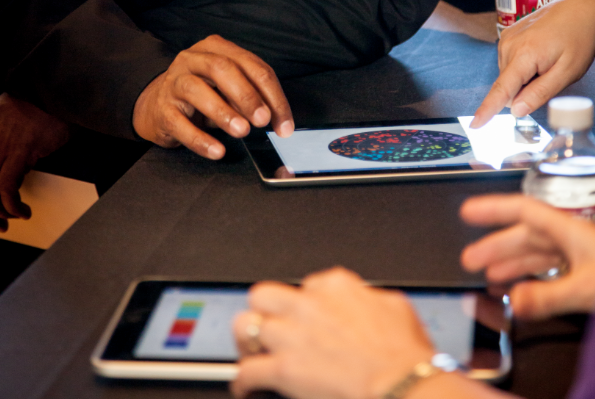 How can our sensory capabilities and state of the art technology leverage each other? The user experience ultimately determines whether your hard work is put to daily use. It’s the difference between a satisfied user and someone who struggles daily with applications. On March 18th, a large delegation from the Oracle UX team will present and demonstrate their latest work during the UX Expo that is hosted by AMIS in their Nieuwegein office. At this free event, attendees with different background – students, C-level managers, architects, designers, developers – can visit a dozen exhibitions, each demonstrating a different aspect, concept or technology. Additionally, some 20 short presentations will paint the overall vision and approach as well as provide more background to the demonstrations. Great catering, a Tesla car and other surprises will ensure this event is full of inspiration and fun. For Oracle customers who will sign an NDA, there is also the so called ‘secret chamber’ where even more forward-looking concepts are shared, that are in early exploration stages. These ideas may never reach production or end up looking very differently when they do, hence the non disclosure requirement. If you are interested in attending this free event, you can register here: AMIS UX. AMIS can also help you make travel arrangements if you so desire. As the OA-UX team states: “At Oracle, “user experience” or UX means examining how your users work today, understanding their pain points, and working closely with product management, strategy, and development to target the most effective improvements in product design. UX is an integral part of the development process for enterprise applications. 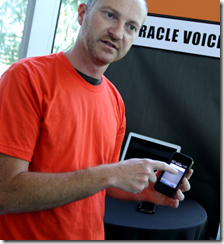 At the UX Direct site, the team shares many resources that it uses to build Oracle Applications. “Use our design process and resources to reduce the complexity of your implementations and increase user adoption.” it offers to software professionals inside and outside the Oracle community. 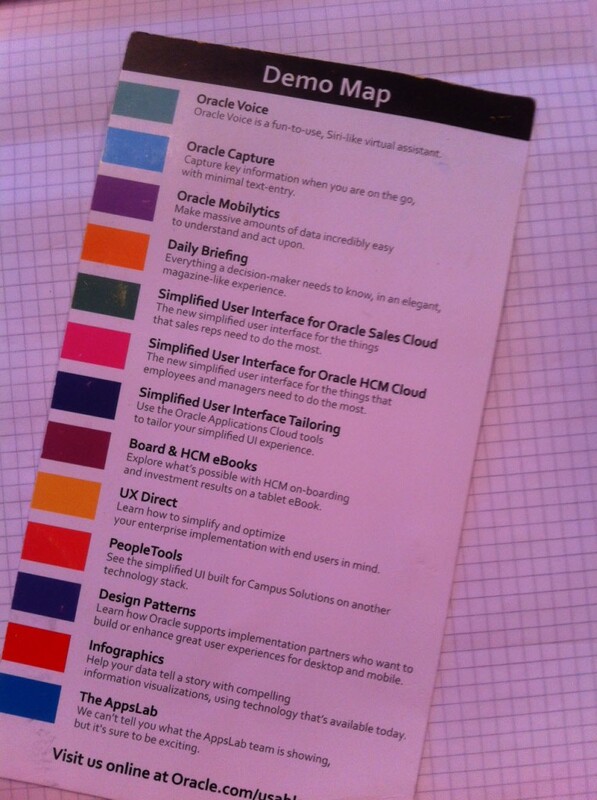 Among the resources on offer are Simple User Centered Design Process, Oracle Design Patterns and Guidelines and Templates, tools, and examples. Jeremy Ashley, Vice President Application User Experience at Oracle USA, and a team of a dozen user experience (UX) specialists from the Oracle research and development laboratories in Redwood Shores will demonstrate at the AMIS offices in Nieuwegein. Through conversations, presentations and most of all: live demonstrations, they allow you an exclusive preview of new concepts and fresh thinking that will define user-interface design, man-machine interaction and usability. Some are forward thinking concepts that push the envelope, others are solutions nearing production or already available. But, everything you’ll see will affect your end-user’s experience with new levels of simplicity, mobility and extensibility. The day is organized as a “walk in, be welcome and enjoy yourselves” format. We open our doors at 12:00 and close them around 8 PM. An average visit will probably last 2 hours. You can wander around a dozen different working demos, including robotic arms, Google Glass and various tablets. You will obtain inside knowledge from the actual R&D specialists themselves. You can walk into short lectures that will provide a broader context. Senior AMIS consultants will provide analysis how this influences today’s application development. But most of all, we want you to feel welcome, enjoy the atmosphere, be amazed and get inspired. UX Ambassadors and ACE Directors Sten Vesterli and Lonneke Dikmans will participate in this event, sharing their experience and expertise around UX and applying UX in architecture and through the Fusion Middleware stack.